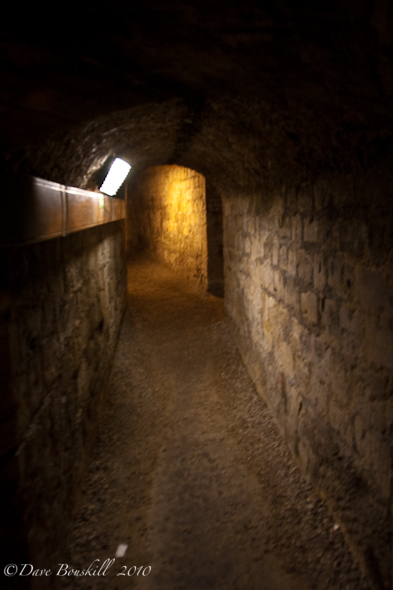 We have always wanted to go to the Catacombs of Paris. The last time we were in Paris, we ran out of time and didn’t make it to its underground labyrinth of death. When we visited Lima, Peru the catacombs were high on our to do list and we were sure that we would make it there. Unfortunately I developed a bad case of food poisoning from eating at the Tony Roma’s on the waterfront of Mira Flores and spent our last two days in the city praying to the porcelain God. When we landed on French soil this time, the catacombs were the first destination on our agenda and we did not deviate from our plan. We awoke early in the morning feeling groggy from jet lag but refused to let it beat us. After enjoying our café and croissants at the Perfect Hotel in Montmartre, we hopped on the metro to catch the train to the the Denfert Rochereau Metro station near Mont Parnasse. We took a wrong turn as usual and walked the wrong way towards Montparnasse and the cemetery. It felt like the right way. For some reason we missed the sign pointing towards the catacombs. Luckily it was a beautiful day and we didn’t mind that it took an extra half hour to get there. But if you are smart and not us, all you have to do is walk across the street from the metro stop and the catacombs are right there. The hallways are surprisingly well lit! We arrived to a small line up waiting at the entrance to get in. The great thing about the catacombs is that they only let 200 people into the caves at a time. The space out the timing of letting people in and you find yourself walking down the spiral staircase all alone into the eerie depths below.